We just released our final update for 2015. While it looks like a big change, it’s actually fairly small. There are no changes to any of the core PropertyRadar features: Property Search, Foreclosure Search, Trustee Sale Schedule, Transfer Search, Listing Search, and Explore are unchanged. Insights - Get quick insights on what your list contains and what has changed. Marketing - Send Direct Mail, create Mailing Labels, or do a Mail Merge into your own template or one we provide. Alerts - Set up alerts to email, SMS, or mobile notifications. Settings - Easily delete the list. Where'd the Saved Property Insights on the Dashboard go? 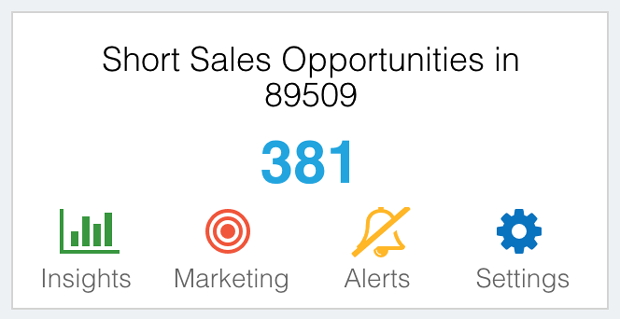 Saved Properties Insights are now accessed by using the green Insights icon in the right corner of the Dashboard. We tucked it away to make room for List Cards. We took the most popular list marketing and management features and put them up front on the Dashboard where you have easy and convenient access to them. Here's a quick view overview on how to make a list. Know that it will get even easier to make, manage, and market to lists in 2016! 5997: List of Lists in Search options does not get updated with any lists added to search results. Impacts users that want to modify their search with newly added lists.